Back in the summer of 2000, I decided that this site needed a special page devoted solely to films that had won the Best Picture Oscar. This became a somewhat daunting task because we didn’t offer reviews of many of these titles, but I took to it eagerly and we managed to put the page online within a few months. At that time, there were a lot of gaps in the Best Picture DVD releases. By June 2001, the first “complete decade” occurred, as that month’s release of 1960’s The Apartment finished off all 10 flicks from that span. In a way, it’s ironic that such a tumultuous decade finished up with one of its quieter films. 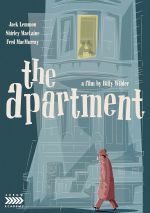 As a comedic drama - or a dramatic comedy, if you’d like - The Apartment lacks the broad scope and scale of subsequent Best Picture winners like Lawrence of Arabia or The Sound of Music. In addition, Apartment doesn’t attempt to provide the social commentary of In the Heat of the Night or Midnight Cowboy. It sticks with a low-key character piece. That doesn’t make Apartment inferior, however, as it provides a strong effort. The movie concentrates on the semi-pathetic little life of insurance clerk CC “Bud” Baxter (Jack Lemmon), one small fish in a huge pond, as the Manhattan-based company for which he works maintains a payroll of more than 30,000. Baxter wants to get ahead, but his meek demeanor doesn’t really lend itself to advancement. However, as the film starts, we discover he’s found a way to gain the attention and affection of some superiors: he allows them to use his apartment as the site of their extramarital trysts. While this works well for his career positioning, it does little for Baxter’s own social life, or it would affect him if he had one. Most of his evenings at home are spent in front of the TV, so the main negative effect spurred by the manner in which others use his apartment stems from the fact he often gets left out in the cold – literally - and he becomes ill. While this agreement may make Baxter look rather conniving, that’s not really the case. While he’s eager to reap the career benefits of his lending scheme, he prospers mainly because he’s a schmoe who can’t say “no”. Bud desperately wants to stand up to his higher-ups and regain control of his apartment - at least for an evening - but he can’t muster the backbone to do so. Nonetheless, things seem to go his way career-wise, and he also makes his move on a cute elevator operator named Fran Kubelik (Shirley MacLaine). He’s had his eye on her for quite some time, but he doesn’t ask her out until he gets his promotion and starts to answer to Jeff Sheldrake (Fred MacMurray). It seems that Sheldrake also wants access to Baxter’s apartment, and he gives Bud two tickets to a Broadway show to keep him occupied. Baxter uses these tickets to ask out Fran, and she agrees, though she indicates they’ll have to meet at the theater since she must tend to a previous engagement. To the surprise of few, that earlier date pairs her with the married Sheldrake, as the two had a fling that he wants to continue. Weak-willed Fran submits and heads to Baxter’s apartment with Sheldrake, while poor pathetic Bud waits alone in front of the theater. Despite that setback, he remains optimistic about his future in the company and with Fran, but things eventually become more complicated. I’ll leave the remaining plot developments out of my review, for though I think many of them feel predictable, I still prefer to avoid any additional potential spoilers. Despite a storyline that often seems unsurprising, I really like The Apartment, as it provides a compelling and well-executed piece of work. The deft way it straddles comedy and drama remains key to the film’s success. The movie begins as little more than a farce along the lines of director Billy Wilder’s earlier work like 1955’s The Seven Year Itch and 1959’s Some Like It Hot. That comment shouldn’t be regarded as a criticism of the prior films, asboth were very entertaining and well made. I mention them just because a viewer new to The Apartment will likely feel that it fits in snugly with those movies. However, as the plot complicates, the dramatic level escalates, and we find out just how troubled Fran really is. She’s a woman with extremely low self-esteem who really seems to dislike herself, and her feelings motivate her behavior. Good-natured Baxter tries to help, but there’s really only so much he can do - some people just don’t want to be saved. Or do they? I’ll leave that plot point up in the air, but the manner in which Baxter and Fran get to know each other offers a twist from the usual fluffy romantic material. While the movie still offers some comedic moments, it becomes much more serious as it progresses and the complications amass. In the hands of a lesser director, The Apartment could - and probably should - have been a mess. However, Wilder manages to dance between the humor and the pathos and make both sides of the coin believable and effective. Though the film’s second half does become more serious, the picture lacks any form of abrupt change of pace. Instead, Wilder gently moves it into a different direction, and the shift works nicely. It helps that The Apartment features a strong cast, though frankly, I can’t say that I’m wild about Lemmon’s performance as Baxter. He handles the screwball comedic aspects of the role well, but he doesn’t alter his tone strongly enough as the story turns dramatic. As such, Lemmon still seems broad and over-the-top when the part calls for a quieter tone. I’m not greatly dissatisfied with Lemmon’s work, as I think he still makes the role compelling and endearing, but I feel he should have taken a more subdued tone and mugged less as the film progressed. On the other hand, MacLaine is virtually perfect as Fran. I’ve never been a fan of her work, and I’ve usually openly disliked the woman, but I must acknowledge that she’s almost flawless as Fran. MacLaine nimbly communicates the wounded inner core of the character without becoming maudlin or excessively sentimental. She maintains a cold distance from the world, a tone that seems appropriate for such a sad, hurt person. MacLaine also manages to keep her adequately chipper and lively when necessary, so Fran doesn’t degenerate into an emotional mess. Honestly, the caliber of MacLaine’s performance stuns me. I’ve known women like Fran, and the accuracy she lends to the role seems very impressive. She nails the part so well that it’s genuinely spooky - there were times I felt as though I was watching those past acquaintances. How hammy old Liz Taylor beat her for Best Actress makes no sense to me. Well, at least Lemmon and MacLaine were nominated for Oscars, as was Jack Kruschen’s supporting turn as Doctor Dreyfuss. Poor MacMurray didn’t even get any form of Academy recognition for his solid work as the scheming Sheldrake. By this point in his career, MacMurray was becoming established as the “genial family man” we know from TV’s My Three Sons - which premiered in 1960 just a few months after The Apartment hit movie screens - and flicks like 1959’s The Shaggy Dog. When MacMurray worked against type in Wilder’s 1944 classic Double Indemnity, I thought he seemed laughably unconvincing. My biggest problem with Indemnity related to MacMurray, which was why I was pleased to see his work in The Apartment. I think MacMurray succeeds as Sheldrake because the role is just a small twist on his usual character. He still portrays a family man, but he’s a fairly sleazy one who thinks nothing of cheating on his wife. He displays no qualms when he needs to lie to women, and he happily uses them with no apparent effect on his conscience. MacMurray resists any urges to provide a warmer side to Sheldrake. He makes the character bright and personable enough to allow us to believe women would be attracted to him, but he keeps him cold and hard enough to avoid excessive charm. MacMurray excels in the role as he creates a realistic character who seems scummy but who avoids cartoonish elements. If I have any complaint about The Apartment, it’d relate to the film’s length. At 125 minutes, it isn’t excessive, but I think it probably could have been shortened a bit. Nonetheless, the movie seems like a strong piece of work that provides a well-executed combination of comedy and drama. The Apartment appears in an aspect ratio of approximately 2.35:1 on this Blu-ray Disc. This became a strong presentation. I saw no issues with jagged edges or shimmering, and edge haloes stayed absent. The image also failed to display any print flaws. Blacks came across as deep and tight, and contrast was a strength. Low-light shots demonstrated nice clarity and dimensionality. All of this added up to a pretty terrific little presentation. 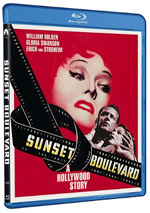 For this Blu-ray, The Apartment featured a modern DTS-HD MA 5.1 remix. Which begs the question: why? This was a chatty character piece, not something that I’d think would need a dynamic multichannel track. And that thought was supported by the low-key nature of the soundfield, as much of the material essentially remained monaural. Music sometimes broadened to the sides, but not with any real stereo imaging, for the score used the side speakers in a manner that failed to muster much instrumental delineation. Some effects were more clearly localized, as speech and a few other specific elements occasionally came from the sides. However, those examples were infrequent, and surround usage also didn’t contribute much. A few shots at bars or the office added chatter and other bits, but most of the flick stayed focused on the front center. Dialogue sounded clear and acceptably natural. In a manner typical for the era, speech seemed a little thin at times, but I detected no concerns related to intelligibility or edginess. Effects were also clear and decently realistic, and they lacked problems related to distortion. Music seemed to be similarly clean and bright. The mix delivered no substantial dynamic range, but it replicated the score and incidental music with acceptable accuracy. I heard no concerns related to background noise or source flaws. Overall, the soundtrack to The Apartment served the movie in an adequate manner. As for visuals, they show improvements. The LE offers better definition along with a decrease in print flaws and a more film-like impression. While the prior BD was fine, the LE easily betters it. The Limited Edition replicates the prior Blu-ray’s extras and adds new features. We open with an audio commentary from film historian Bruce Block, as he offers a running, screen-specific chat that looks at cast and crew facts, script and story topics, interpretation of the piece, cinematography, sets and locations, and a mix of other production elements. I wouldn’t call this a great commentary, but it’s consistently informative and enjoyable. Block digs into the movie well and balances the interpretation with the facts in a satisfying manner, so the track adds to our knowledge of the film. Next we find two featurettes from the prior Blu-ray Inside The Apartment lasts 29 minutes, 36 seconds as we hear from Wilder Times author Kevin Lally, The Essentials co-host Molly Haskell, Turner Classic Movies host Robert Osborne, executive producer Walter Mirisch, On Sunset Boulevard author Ed Sikov, USC film professor Drew Casper, screenwriter’s son Paul Diamond, actor’s son Chris Lemmon, Jack Lemmon biographer Joe Baltake, author/film historian Robert Porfirio, and actors Shirley MacLaine, Hope Holiday, Edie Adams, and Johnny Seven. “Inside” looks at director Billy Wilder, what led him to the film and what inspired the story. It then goes into thoughts about society circa 1960, co-writer IAL Diamond and his influence on the project, the flick’s tone, cast, characters and performances, some script topics, sets and visual design, some scene specifics, and the film’s reception. It comes as little surprise that a moderate amount of information repeats from Block’s commentary. Nonetheless, “Inside” offers enough new information to become worthwhile. Although it never quite becomes a great program, it offers a nice take on the movie. For the 12-minute, 47-second Magic Time: The Art of Jack Lemmon, we get notes from Chris Lemmon, Baltake, Casper, Osborne, Haskell, Holiday, and Lally. “Art” looks at the life and career of Jack Lemmon, along with thoughts about his talents as an actor. Much of the piece tends toward praise for Lemmon. It throws out some decent insights along the way, but the tone is a little too fluffy for my liking. The remaining features come new to the Limited Edition. An “appreciation” from film historian Philip Kemp, The Key to The Apartment runs 10 minutes, 12 seconds. Kemp mixes praise and insight to make this a mixed bag, but he tells us enough to create a decent examination. After this comes a Select Scene Commentary from Kemp. He looks at two movie sequences in this eight-minute, 37-second reel: the bar meeting between Bud and Margie as well as Fran’s Chinese restaurant meeting with Sheldrake. Kemp offers a few moderately useful notes, but his chat doesn’t seem especially deep. Next comes The Flawed Couple, a 20-minute, 24-second video essay from filmmaker David Cairns. He examines the films on which Wilder and Lemmon both worked in this mostly enjoyable overview. With A Letter to Castro, we locate a 13-minute, 23-second interview with actor Hope Holiday. She discusses her career, with an emphasis on her work on Apartment. Holiday delivers a likable, engaging little conversation. Part of the Writers Guild Foundation’s “Oral Histories”, An Informal Conversation with Billy Wilder lasts 23 minutes, 17 seconds. Introduced by Jack Lemmon, Wilder looks at screenwriting, casting, collaborating with IAL Diamond, and some notes about Apartment. This becomes an informative program – even if Wilder’s grasp of Fred MacMurray’s career chronology seems tenuous. In addition to the film’s trailer, we get a Restoration Showreel. It spans two minutes, 20 seconds and illustrates the work that went into this Blu-ray. It’s more self-congratulatory than informative. The package concludes with a hardcover book. This provides three essays, photos and credits. The book adds value to the set. As a movie, The Apartment presents a fine piece of work. Director Billy Wilder creates a film that provides both satisfying comedy and drama, and he melds these elements together in a neat and believable package. The Blu-ray delivers excellent picture with acceptable audio and a generally informative set of supplements. I’m pleased with this 2017 Blu-ray, as it becomes the best version of this classic movie.